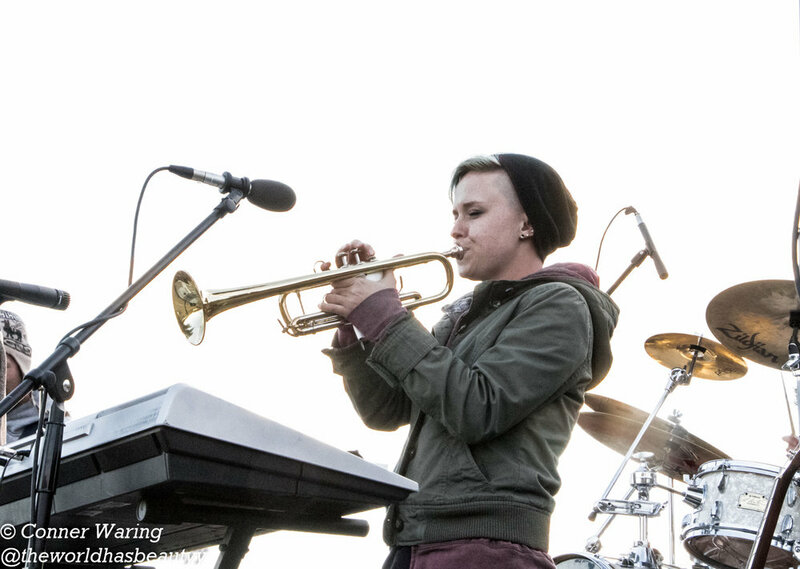 The smallest and most purple member of the crew, EMMA DAWN adds the trumpet, vocals, and keys (and whatever else is needed) to the Fat Stallion sound. EMMA DAWN was born in Rock Springs, Wyoming, where she was inspired by her Johnny Cash-loving grandfather at a young age. Singing in various choirs and playing violin in the orchestra, she found herself excelling with the trumpet in middle school. EMMA DAWN moved to Laramie, Wyoming in 2012 to pursue a Music Education degree at the University of Wyoming. This was around the time that she started playing with Fat Stallion, and became an official member in May of 2015. She spends her non-musical time painting, drawing, knitting and crocheting, and enjoying the fishkeeping hobby.